Meet those looking to reduce their footprint one step at a time. It was that day, when scientists reiterated warnings about the grave consequences of climate change, when local artist Amy Gear was compelled to create the Facebook group Zero Waste Shetland in a bid to encourage islanders to take “small steps towards a greener world”. Just days later hundreds of people had joined the group, sharing ideas about how they could reduce waste, recycle and reuse items. 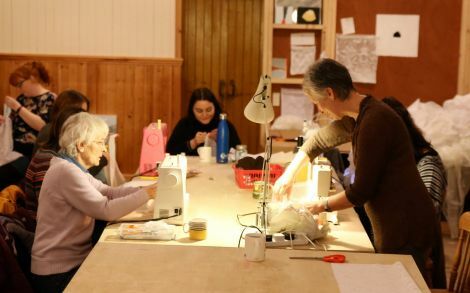 A few weekly hands-on ‘Make and Take Action’ events have since taken place on Monday nights at the studio space Amy and her partner rents at the old Methodist Kirk in Bridge End, with people coming together to create as its first project reusable bags out of lace curtains to use when buying loose fruit and vegetables. Reusing material for shopping bags is one idea being explored by the group. People who aren’t so nimble with their hands can just come for a yarn and a cup of tea, as the meetings are also designed to provide a social evening in the winter months, with lift-sharing to Burra encouraged. Amy was taken aback by the number people who joined the Facebook group – it’s sitting at nearly 500 – and it is clear the grassroots campaign highlights the growing consciousness in Shetland of becoming more eco-friendly, be it shutting out single-use plastics or reducing the carbon footprint. 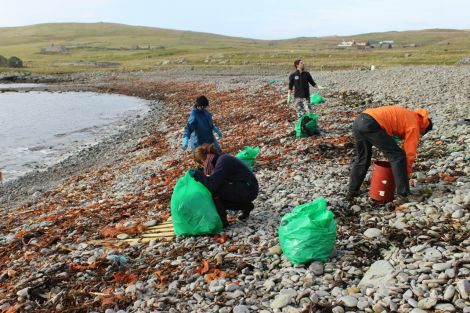 She thinks there is a “big appetite for change” in Shetland, and the group is initially taking action at a more grassroots level than other campaigns like No Single Use Plastics Shetland, for example. That was launched last year to encourage businesses to stop selling items like plastic straws and buy in eco-friendly alternatives instead. Amy points to the likes of the hugely successful Voar Redd Up as another example of the isles’ strong consciousness for the state of the environment. “In the coming year I’m starting to plan events. I want to do a foraging day, probably in the spring,” she says, and you can tell Zero Waste Shetland isn’t likely to be a brief, flash-in-the-pan affair. 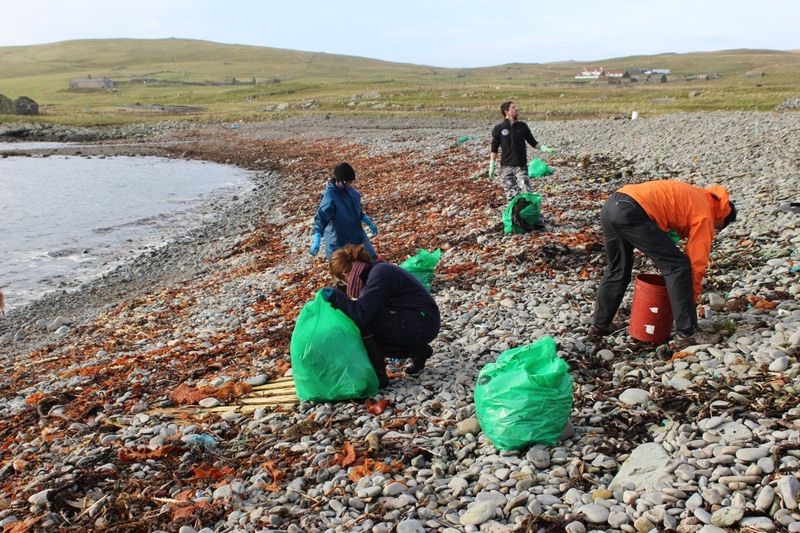 Beach cleans like this highlight Shetland’s consciousness when it comes to helping the environment. Later on Amy is heading to wholefoods shop Scoop to pick up a box of locally produced vegetables – the ultimate goal, though, is to grow her own. Her mantra is that every little helps, and she says people shouldn’t be consumed by the assumption that they have to change their whole lifestyle, or shadowed by a guilt that they aren’t doing enough. “You canna do everything – I still take in plastic, I still buy frozen stuff,” Amy says. “But if somebody can make one change, it’s better than nothing. I think a lot of folk don’t do it because they think they have to do everything all at once and totally change their lifestyle, but if they just make one change, it’s better than doing nothing. “Like changing from shampoo to a shampoo bar, changing your sponges – all that peerie things. And also just spreading the word. The group comes at a time when Shetland Islands Council is trying to improve its poor recycling figures by rolling out its collection scheme, with paper and some plastics among the rubbish going in the wheelie bin instead of a black bag. Although critics point to the fact that the recyclates are being shipped south, and that refuse-derived fuel will be imported to replace these items in the waste to energy plant in Lerwick, it is encouraging even the most eco-apathetic islanders to think again about how rubbish can be re-used. One of those who have attended the weekly Zero Waste events in Burra is Ali Grundon Robertson – someone who has already become something of a veteran of cutting back unnecessary waste. She undertook the Plastic Free July challenge earlier this year, for example, which saw 3.4 million people from across the world attempt to ditch plastic for one month. Her dayjob also sees her promote local campaign Dunna Chuck Bruck, which is becoming increasingly prominent on social media as it promotes environmental awareness. “Plastic in itself is an amazing product but it is being managed wrong,” Ali says. “It is designed to be strong, lightweight and last forever, and therefore should never be used for single-use to eat chocolate out of or drink water from and chucked away after five minutes. 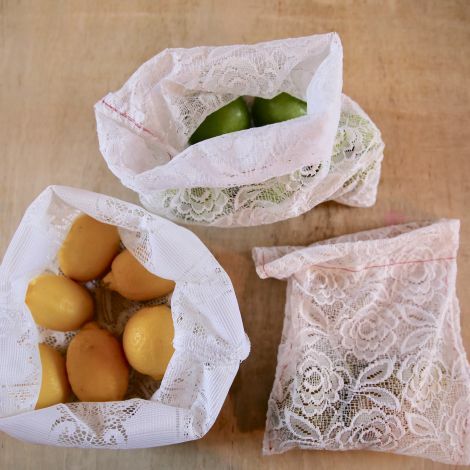 Ali says there are plastic-free or reduced plastic alternatives for “almost every throwaway item in our lives, and I believe it’s really important we show manufacturers the demand is there for plastic-free alternatives”. She started cutting down single-use plastics around three years ago, and it has quickly become a way of life. “I started small with refusing five of the biggest polluters: plastic bottles, takeaway coffee cups, carrier bags, plastic straws and plastic cutlery,” Ali explains. “Now, my supermarket shopping is consciously as plastic free as possible with lots of loose fruit and veg, my cleaning products are plastic free, my bathroom has plastic free shampoo bars, toothbrushes, toothpaste, soap and facewash and it’s all habit now. “It’s much easier to adopt a reduced plastic lifestyle slowly, for example start off by taking a reusable shopping bag when you head out or using a reusable water bottle if you regularly buy plastic bottled water at lunch or the gym. 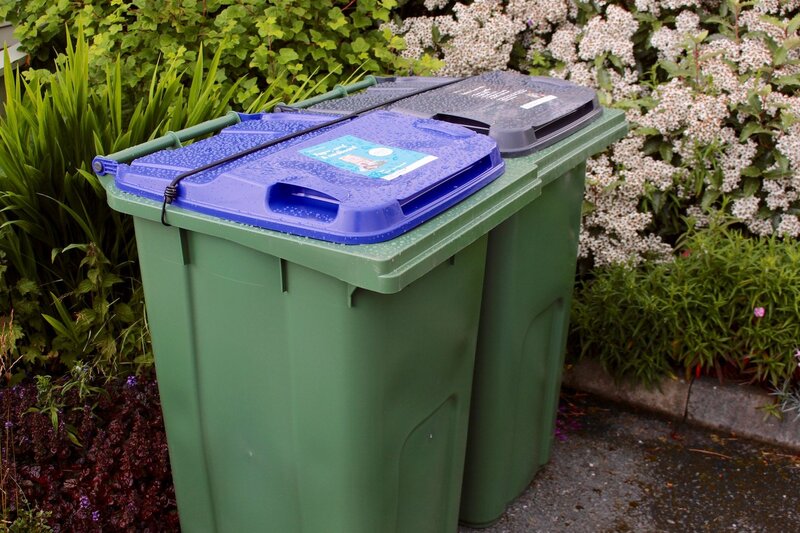 Burning garbage: the greenest option?